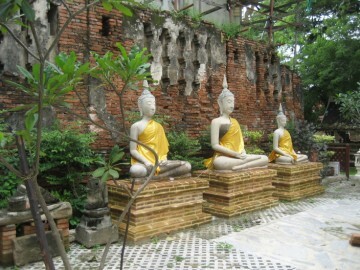 its east on the opposite side of the river stands Wat Phanan Choeng. 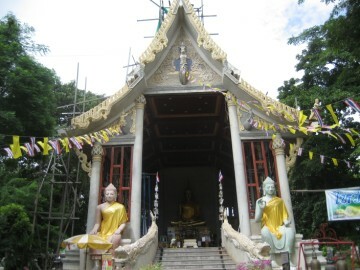 the name the New Monastery or Wat Mai. 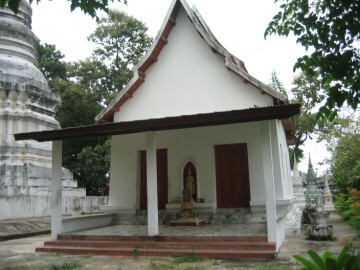 ordination hall (ubosot), a large chedi and a vihara. 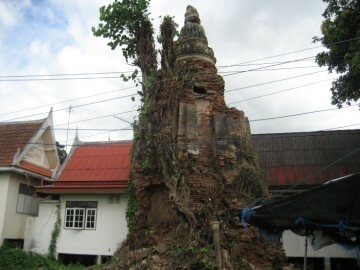 The large chedi belongs to the vihara. 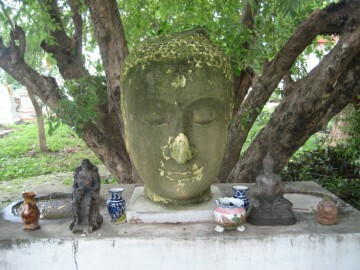 east-west axis, while the main Buddha image is looking into the direction of the rising sun. 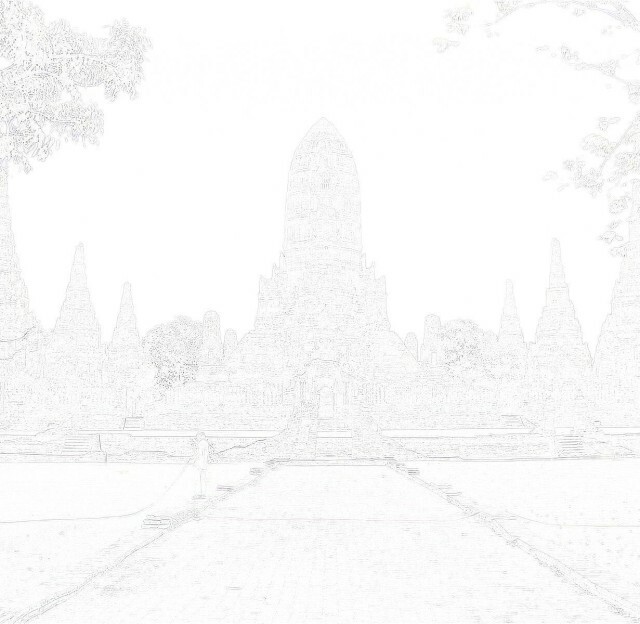 [BDEF: in front of] [C: at] the Kutbangkaca Monastery. Fort, and from the Maha Chai Fort connected down to the Phet Fort. 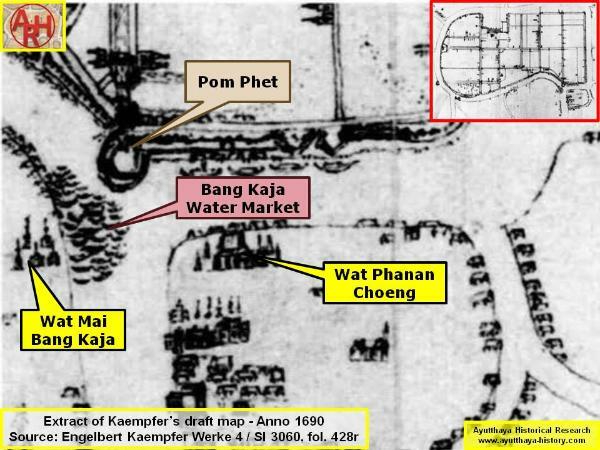 Boran Rachathanin's map drafted in 1926 as Wat Mai. 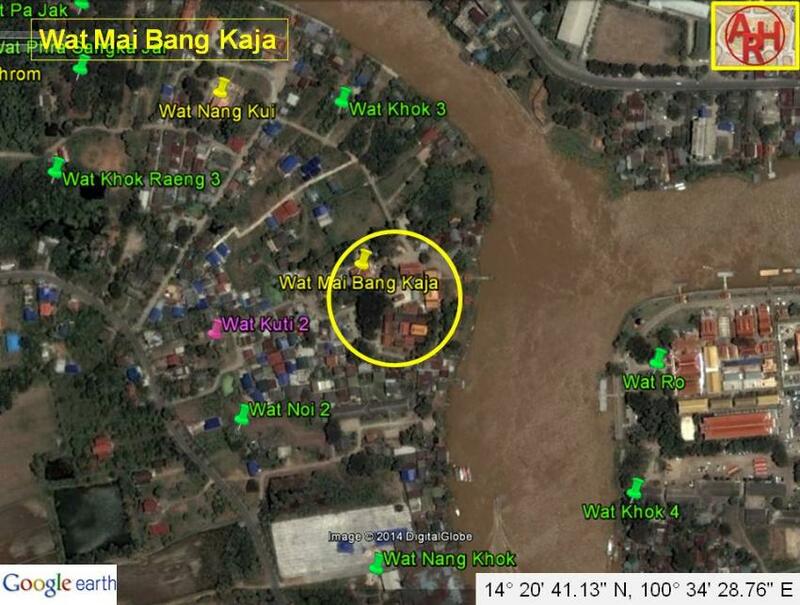 Wat Mai Bang Kaja is located in Geo Coord: 14° 20' 41.13" N, 100° 34' 28.76" E.
these works were done in 942 CS, being 1580 AD, a date generally accepted. (3) Now called Wang Na or Front Palace. her course with its tributaries. Cakkraphatdiphong & Royal Autograph. - The Rebellion of Pattani. Pongsripian - Bangkok, Usakane, n. d. (2007) - page 84. 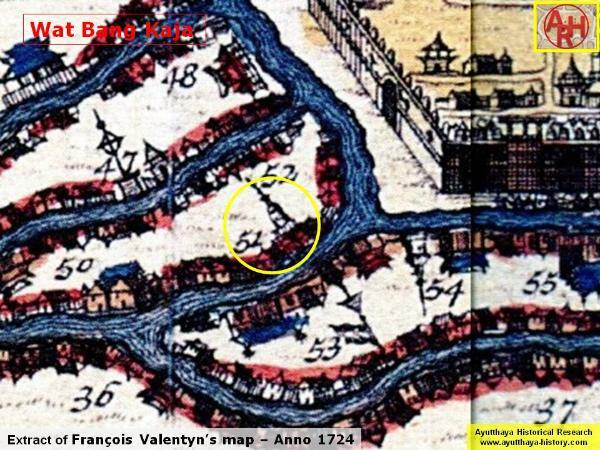 (Detail of Engelbert Kaempfer's draft map made Anno 1690, part of the Sloane collection.